While a member of a School Board, I ask permission of the board to put together a class for elementary school children. This class will be on Basic Firearms Safety. I volunteer my time, education, experience and all the teaching materials. All the members of the School Board are amenable to the idea of this type of instruction. And the fact that I offer it to the school free of charge is a benefit to them. One of the caveats to providing this class is the need to interweave into the program some of the information from the Arizona Gun Safety Program Course passed by the Arizona Legislature in 2008. This program is for high school. The school attorney feels that my class will have better standing with the Arizona Board of Education if I include some of this information. Of course, I provide the school with my firearms certifications and my liability insurance. With free-rein by the board, I develop for the sixth-through-eighth grades a class conducted one hour per week for eight weeks. The board gives me permission to bring unloaded firearms to the school for the purpose of demonstration. This basic class is given during the third quarter of the school year. It is so successful that I develop an Advanced Firearms Safety which I then conduct during the fourth quarter of the school year for those students successfully completing the basic class. What follows are my choices of teaching materials including firearms for Basic and Advanced Firearms Safety, and how you can accomplish the same thing in your neck of the woods. 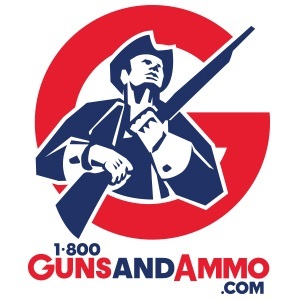 I utilize materials from the National Rifle Association (NRA), the National Shooting Sports Foundation (NSSF), the Arizona Gun Safety Program (A.R.S. 15-714.1) and the Arizona Game and Fish Dept. (AZ G&F). I can acquire most of the teaching materials with minimum expense. 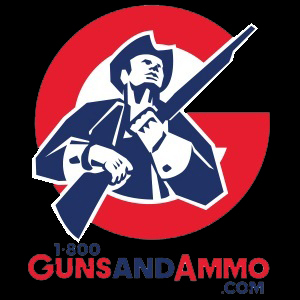 On Week #2, I bring a Smith & Wesson M10 Revolver and a Colt 1911 .45 Semi-auto and ammo components for the purpose of instructing the children on the nomenclature of pistols and the demonstration of the NRA and NSSF Safety Rules. NRA instruction posters help the students identify and explain the workings of each firearm. DVDs provide scenarios of good firearms handling and wise and unwise decisions made by youngsters. Written/Visual/Tactile Materials for Basic Class. 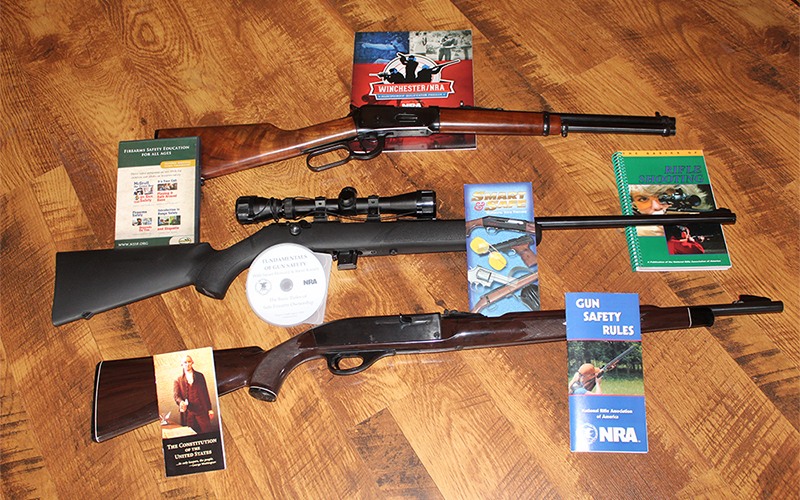 WEEK #1: Firearms Safety Rules – NRA and DVD – Fundamentals of Gun Safety – NRA. WEEK #2: Review Wk. #1, Firearms/Ammo Terminology Posters – NRA and Visual Aids (pistols & ammo components). WEEK #3: Review Wk. 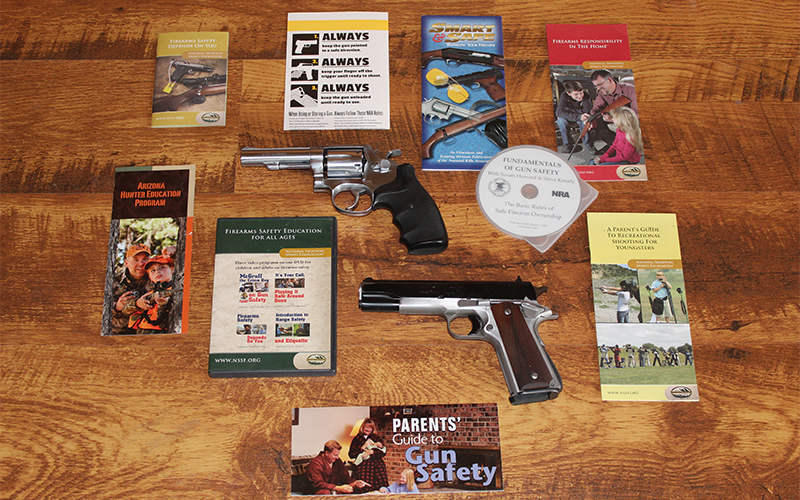 #2, Firearms Safety Depends on You – Brochure NSSF and DVD – Firearms Safety Depends on You – NSSF. WEEK #4: Review Wk. #3, Firearms Responsibility in The Home – Brochure NSSF and DVD – McGruff on Gun Safety – NSSF. WEEK #5: Review Wk. #4 and DVD – It’s Your Call – Playing it Safe Around Firearms – NSSF. WEEK #6: Review Wk. #5 and Parents’ Guide to Gun Safety – Brochure NRA. WEEK #7: Review Wk. #6, Parent’s Guide to Recreational Shooting for Youngsters – Brochure NSSF and Winchester Marksmanship Qualification Program – Book NRA. WEEK #8: Overall Review – Certificate of Completion, Smart & Safe – Handling your Firearm – Brochure NRA, Arizona Game & Fish Sensible Safety for Kids – AZ G&F, Arizona Hunters Education Program – AZ G&F and DVD – Intro to Range Safety & Etiquette – NSSF. For Advanced Firearms Safety, I integrate the U.S. Constitution and Declaration of Independence. I locate and purchase a pocket size booklet for each student and refer to it in the following outline as homework. You’ll note in the instruction outline the reference to rifle instruction for this quarter. The students are told that if they complete this course and with the consent of their parents, they will shoot the rifles at a range and practice the rifle positions. Of course, their parents are invited to participate. It is the enticement needed to encourage the student’s attendance and participation. On week #2, I bring three rifles to class. All of them are .22s, a Marlin Bolt-Action, a Remington Nylon 66 semi-auto and a Henry Lever-Action Youth Model. These help the students understand the nomenclature and different action types. 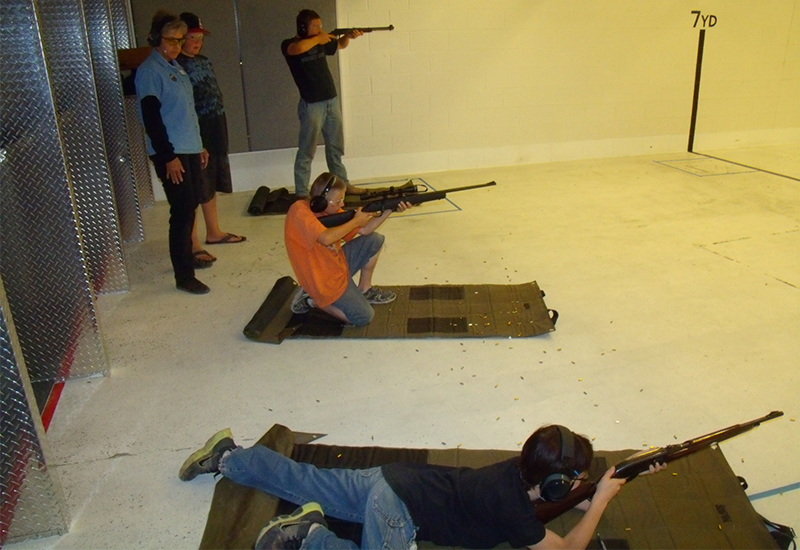 In weeks #3 and #4, with rifle pads and rests that I provide, they practice in the classroom the different positions and the ease and difficulty of perfecting the Fundamentals of Rifle Marksmanship. Once more DVDs provide scenarios of good firearms handling and wise and unwise decisions made by youngsters. Written/Visual/Tactile Materials for Advanced Class. WEEK #1: Second Amendment (AZ Gun Safety Program Course) and ARS 15-714.1, Pages 47-48 (read I-VI Intro). WEEK #2: Review Wk. #1, (read Article I, Pgs. 1-8 for homework), and .22 Rifles (NRA textbook/posters/3 rifles). WEEK #3: Review Wk. #2, (read Article II, pgs. 9-12 for homework, Ammunition (NRA textbook/posters/dummy ammo) and Rifle Positions w/three rifles (NRA posters). WEEK #4: Review Wk. #3, (read Article III, pgs. 12-13 for homework and Fundamentals of Rifle Marksmanship. WEEK #5: Review Wk. #4, (read Articles IV, VII, pgs. 14-17 for homework), Juveniles & Guns (AZ Gun Safety Program Course) and ARS 15-724.1, Page 57. WEEK #6: Review Wk. #5, (read Amendments, pgs. 21-34 for homework), Range Etiquette/Range Safety Briefing, DVD – Intro to Range Safety (NSSF) and Juvenile Releases for field practice. In nine years as a substitute teacher prior to my involvement on the School Board, I learned to use three methods of instruction to make sure the students understand the materials. Students learn best when you introduce a concept through written material, enforce it with visual aids and cement the information though tactile experiences. If you can plan and prepare, then you can lay out an instruction outline. You are certainly welcome to use the information I’ve provided in this article. With the assistance of a classroom and a shooting range, you can successfully provide both the Basic and Advanced Firearms Safety that our children need to become informed and responsible adults. Teaching firearms safety to our children will keep them safe around firearms both at home and in the homes of other children. Education has always been the answer to any issue where firearms is involved.